Taketa, in Oita prefecture, while technically a city oozes with small-town charm. The result of a merge of several other towns and villages, it sprawls beneath the Kuju Mountain Range, alongside the headwaters of the Ono River. Just an hour away from Beppu, a popular spa resort in the north, it makes for a relaxing day trip or countryside getaway. 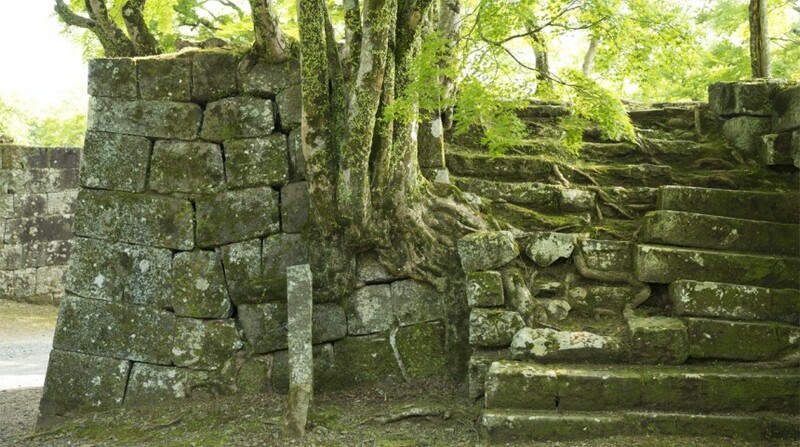 The site of the original Taketa town was home to Oka Castle (¥300; open 9am-5pm), believed to have been built by the general Ogata Koreyoshi in 1185. 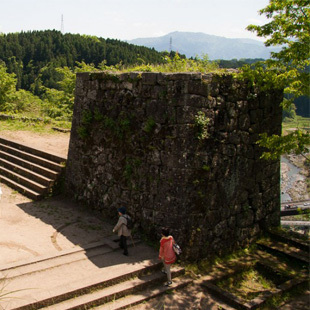 With the Numberize River on its south side and the Inaba River on its north, the site is a natural fortress perched 100 meters above its valley floor. Listen to the haunting melody, Kojo no Tsuki (“Moon over the Castle’s Scattered Ruins”), as you make your way up the castle’s wide, stone steps. The song was composed by Rentaro Taki, one of Japan’s most renowned pianists, who spent many of his childhood years in Taketa. 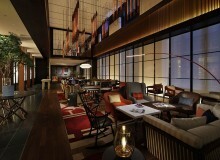 At the top, you can enjoy unparalleled views of Taketa’s towns and villages and the surrounding landscapes, including Mt. Aso, Mt. Sobo, and the Kuju Mountain Range. The castle was taken over by the Nakagawa clan when the previous custodians were forced to surrender it due to their Christian faith. 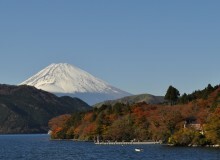 In ancient Japan, Taketa served as a waypoint for missionaries who were travelling from their primordial post in Nagasaki to the then capital of Kyoto. Christianity was flourishing in Japan at the time and the town, which had developed into a booming trading center, became home to more than 30,000 Catholics. During the Tokugawa Shogunate campaign to eradicate the religion from Japan in the 17th century, followers of Christianity had to renounce their faith or else face persecution. People took to the surrounding forests to worship in secret. To date, eight of these catacombs have been found scattered throughout Taketa’s forests, and one of them is just a short walk from Hirose Shrine. 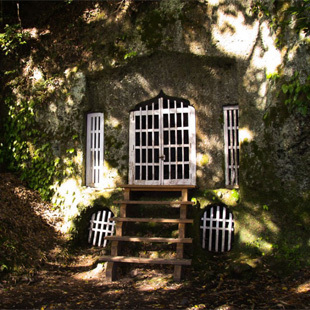 The Christian Cave Chapel is hand-carved out of the volcanic rock of the mountainside, and is located beneath a natural cave, where worshippers would have gathered, next to a water source, which would have been used for the sacraments. From the top of the long flight of stairs leading to the shrine, you can enjoy another view of the town below, or take a stroll down the nearby Bukeyashiki Street for a glimpse into the past. Once home to 13 samurai residences, the now modern houses that line the street still retain the original gates and walls. Kannonji temple, famous for 16 Buddha statues that guard its entrance, is a 10-minute walk away via Hachimangawa Lane. This small side street is lined with traditional shops and makes for a great commemorative snap. Follow the forest path at Kannonji to the other side of the hill, where a hidden staircase leads down to the main road and across to the Inaba River. Stroll back into town via Shinmei Shrine, where you might see a Kagura performance. Keep an ear out for the drumming that continues throughout the show. From July to September, Taketa holds their annual Soft Serve Stamp Rally. Anyone who eats and collects all the ice cream stamps from participating stores around town is awarded an official Taketa Soft Serve Rally Ambassador statue and receives a certificate and badge. With flavors ranging from spinach, tomato, and corn, it’s a unique—and arguably delicious—way to explore the town. 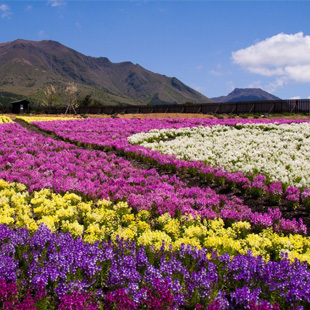 Take a taxi or hire a car to Kuju Flower Park (¥1,300; open 8:30am-5:30pm), a 20-minute drive away. The park sits atop the Kuju Plateau and covers 49 acres of land with 3 million individual flowers of 500 different varieties. After a walk through the park, refuel with a glass of homemade grape juice and a pizza at the Kuji Winery. Taketa is 1 hour and 45 minutes by train from Oita city.